Health communication professionals are specifically trained in methods and strategies for effective communication of public health messages, with qualifications in research, strategic development, and evaluating effectiveness. Health communication is taught in master’s and doctoral programs. The Coalition for Health Communication maintains a list of such programs. Clear communication is essential to successful public health practice at every level of the ecological model; intrapersonal, interpersonal, group, organizational, and societal. In each instance of health communication, there must be careful deliberation concerning the appropriate channel for messages to best reach the target audience, ranging from face-to-face interactions to television, Internet, and other forms of mass media. The recent explosion of new Internet communication technologies, particularly through the development of health websites (such as MedlinePlus, Healthfinder, and WebMD), online support groups (such as the Association for Cancer Online Resources), web portals, tailored information systems, telehealth programs, electronic health records, social networking, and mobile devices (cell phones, PDAs, etc.) means that the potential media are ever changing. Three-community study and the five-city project were experimental campaigns to inform middle-aged men about the causes of cardiovascular disease. Health messages were communicated via television, radio, newspaper, cookbooks, booklets, and bus cards. The three “communities” comprised three experimental communication strategies: a media-only campaign, a media campaign supplemented with face-to-face communication, and a no-intervention control group. The experimented revealed that after one year, the most informed at-risk men were those in the second experimental group: they men consumed the media campaign and were attended by a health care provider. Using the entertainment industry as a platform for advocating health information and education is a communication strategy that has become increasingly popular. The most utilized strategy is for health communication professionals to create partnerships with storyline creators so that public health information can be incorporated into within the plot of a television show. The Centers for Disease Control and Prevention has formed a strong partnership with Hollywood, Health, and Society, at the University of Southern California Norman Lear Center to continue to produce new storylines on television and in film studios that will help to promote public health information. Some of the resources provided with this partnership include comprehensive “tip sheets” to provide writers with easy to access and trustworthy information on health issues, and meetings and panels to discuss new information and resources. Some of the most notable examples of this method of communication in recent years have been with the films Contagion and I Am Legend in understanding the spread of disease, NBC’s series Parenthood in Asperger’s Syndrome, and with the CW’s series 90210 and spreading cancer awareness. Writers and storyline developers have an increased motivation to continue to incorporate public health information into their scripts with the creation of the Sentinel for Health Awards in 2000, which honors storylines that effectively promote health topics and audience awareness of public health issues. Surveys conducted by Porter Novelli in 2001 reported many interesting statistics on the effectiveness of this strategy, such as that over half of regular prime time and daytime drama viewers have reported that they have learned something about health promotion or disease prevention from a TV show.Amongst this data, minority groups are significantly represented with well over half of African American and Hispanic viewers stating that they had either taken some form of preventative action after hearing about a health issue on TV, or that a TV storyline helped them to provide vital health information to a friend or family member. Media advocacy use strategic mass media tools combined with widespread organization in order to advocate for healthy public policies or lifestyles. This can include the use of text messaging and email to spread messages from person to person, and using social networking venues to promote health information to a wide ranging audience. As technologies expand, the platforms for health communication through media advocacy will undoubtedly expand as well. Health communication relies on strong interpersonal communications in order to influence health decisions and behaviours. The most important of these relationships are the connection and interaction between an individual and their health care provider(e.g., physician, therapist, pharmacist) and an individual’s social support system (family, friends, community). These connections can positively influence the individual’s decision to make healthy choices. Patients are more prone to listen when they feel invested emotionally into the situation. If they feel as if they understand what is being said, they are more prone to make objective decisions based on the information heard. Health communication has become essential in promoting the general public health in myriad situations. One of health communication’s most important applications has been throughout major Environmental events (e.g. hurricanes, flooding, tornados) and addressing the affected audience’s questions and needs quickly and efficiently, keeping the protection of public health and the forefront of their message. Health communication professionals are constantly working to improve this type of risk communication in order to be prepared in the case of an emergency. Another increasingly important application of health communication has been in reaching students in the college community. The National College Health Assessment has measured that 92.5% of college students reported being in “good, very good, or excellent health”, however college students seem to battle serious problems with stress, depression, substance abuse, and a general lack of nutrition in comparison to other age groups and audiences. Professionals in health communication are actively striving for new ways to reach this at-risk audience in order to raise standards of public health in the college setting and to promote a healthier life style amongst students. One of the most pertinent challenges health communication faces is the general gap that has formed between the population’s health literacy and the use of health communication. While the goal is that health communication will effectively lead to health literacy, issues such as the use of unexplained medical jargon, ill-formed messages, and often a general educational gap have created a gap. Specifically, studies have been done amongst elderly populations in America to illustrate a common audience who is left at a disadvantage due to this issue. The older adults comprise an age group that generally suffers from the most chronic health conditions in comparison to other age groups, however studies have shown that even this group have difficulty understanding written health materials, understanding health care and policies, and generally do not comprehend medical jargon. Such shortfallings of health communication may lead to increased hospitalizations, the inability to respond to and manage a disease or medical condition, and a generally declining health status. Gary L. Kreps, Ellen W. Bonaguro, and Jim L. Query, Jr.
“What is Communication?”. National Communication Association. Retrieved 30 May 2013. Beato, Ricardo R.; Jana Telfer (July–August 2010). “Communication as an Essential Component of Environmental Health Science” (PDF). Journal of Environmental Health. 73 (1): 24–25. Retrieved 24 March2013. Centers for Disease Control and Prevention. “Health Communication Basics”. Retrieved 24 March 2013. Gwyn, Richard (2002). Communicating health and illness. London: Sage Publications Ltd. ISBN 0761964754. Freimuth, Vicki S.; Sandra Crouse Quinn (December 2004). “The Contributions of Health Communication to Eliminating Health Disparities”. American Journal of Public Health. 94 (12): 2053–2055. doi:10.2105/ajph.94.12.2053. Edgar, Timothy; James N. Hyde (November 2004). “An Alumni-Based Evaluation of Graduate Training in Health Communication: Results of a Survey on Careers, Salaries, Competencies, and Emerging Trends”. Journal of Health Communication: 5–25. “Graduate Programs in Health Communication”. Retrieved 2 March 2013. Parvis, Leo (Jul–Aug 2002). “How to Benefit From Health Communication”. Journal of Environmental Health. 65 (1): 41. Noar, Seth M.; Christina N. Benac; Melissa S. Harris (2007). “Does tailoring matter? Meta-analytic review of tailored print health behavior change interventions.”. Psychological Bulletin. 133 (4): 673–693. doi:10.1037/0033-2909.133.4.673. PMID 17592961. Baxter, Leslie; Nichole Egbert; Evelyn Ho (Jan–Feb 2008). “Everyday Health Communication Experiences of College Students”. Journal of American College Health. 56 (4): 427–435. doi:10.3200/jach.56.44.427-436. Viswanath K, Finnegan JR (1996). “.”. In Burleson, B. Communication Yearbook 19. SAGE Publications. pp. 187–227. Hester, Eva Jackson (February 2009). “An Investigation of the Relationship Between Health Literacy and Social Communication Skills in Older Adults”. Communication Disorders Quarterly. 30 (2): 112–119. doi:10.1177/1525740108324040. Abroms, LC; Maibach, EW (2008). “The effectiveness of mass communication to change public behavior.”. Annual Review of Public Health. 29: 219–34. doi:10.1146/annurev.publhealth.29.020907.090824. PMID 18173391. Brauser, Deborah (January 6, 2001). “Autism and MMR Vaccine Study an ‘Elaborate Fraud,’ Charger BMJ”. Cline R., American Public Health Association (APHA) Health Communication Working Group Brochure, 2003. http://www.healthcommunication.net/APHA/APHA.html. Retrieved on January 2010. Kreps, G. L.; et al. (1998). “The History and Developments of the Field of Health Communication”. 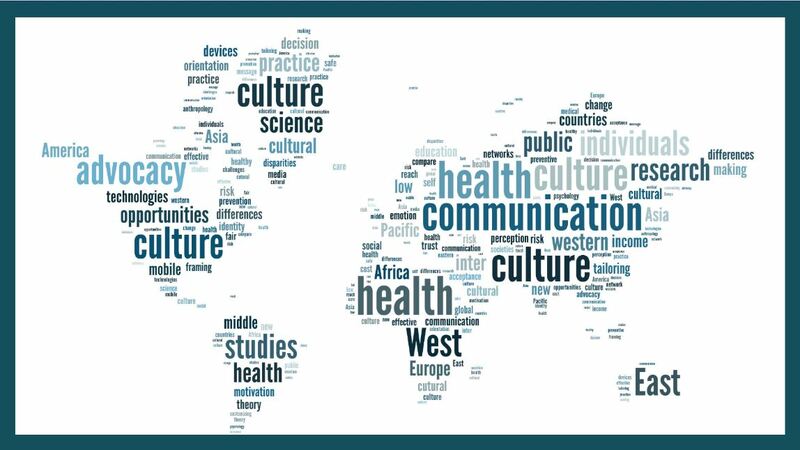 Health communication research : a guide to developments and directions. Westport, Conn.: Greenwood Press.